Hostme v2 is a clean WordPress theme that is crafted using the advanced web programming languages such as HTML5 and CSS3. 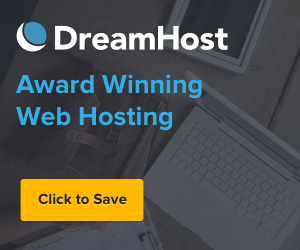 The theme includes loads of features that allow the theme to suit perfectly for any web hosting company, business and portfolio. The Hostme v2 theme supports inserting sliders on any web page, includes unlimited portfolio’s, sortable portfolio, custom widgets and many more. It supports portfolio’s of varied columns such as 1 column portfolio, 2 column portfolio, 3 column portfolio and 4 column portfolio. Twitter, Flickr, Contact Info, Contact Form and Testimonials are few custom widgets supported by the theme. Standard, Aside, Audio, Link, Image, Gallery, Quote and video are few different posts formats supported by the theme. It comes with a shortcode generator that can be helpful in creating few easy to use shortcodes. Users can alter any section by using the theme’s advanced options panel. It includes an extensive documentation that assists users in dealing with technical issues that they encounter while installing it. It provides a custom slider option, using which you can insert 3rd party sliders. IE10, IE9, Safari, Chrome and Opera are few adaptable desktop and mobile browsers.